Here is a guide to some of the technical problems you may experience with the new website. Our website work best with Google Chrome or Safari. You can also use new versions of Mozilla Firefox, or Internet Explorer from version 9. We recommend that you update to the latest browser for the best experience. You can check wich browser you have on this site site. There you also find alternatives to download a new one. If you can not log in it might be that your browser is set not to accept cookies. Specify that it should accept cookies for nya.boplats.se and you should be able to log in. Changed password recently: If you have changed your password after May 23 2014, please note that it is your old password you should use on the new website. Forgotten password: Use the function "Forgot password?" that you find when you click "Log in" An email is sent to you. Follow the instructions. When you press "Pay by card" a new window is opened. For this to work your browser must allow "pop-up windows". Add boplats.se as ”safe senders" by following these steps depending on what epost client you are using. Click options icon and Options. Click Safe and blocked senders under Preventing junk email and click Safe senders. Follow the instructions. 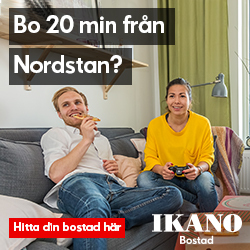 Add boplats.se to the list. Click the outlook logo, top left corner, to go back to the inbox. Click options icon and Settings. Click Save to close Filter window. Click Save to close Settings window. Click Create filter to close Filter window. Click Inbox to get back to the inbox.